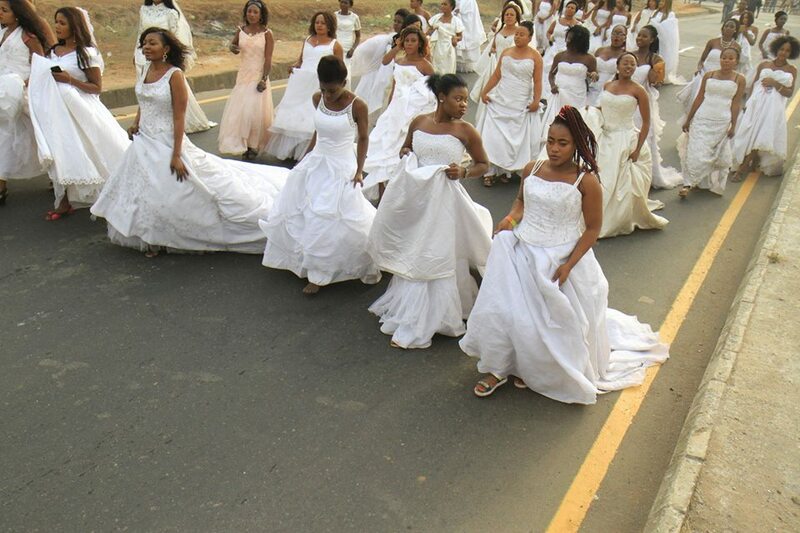 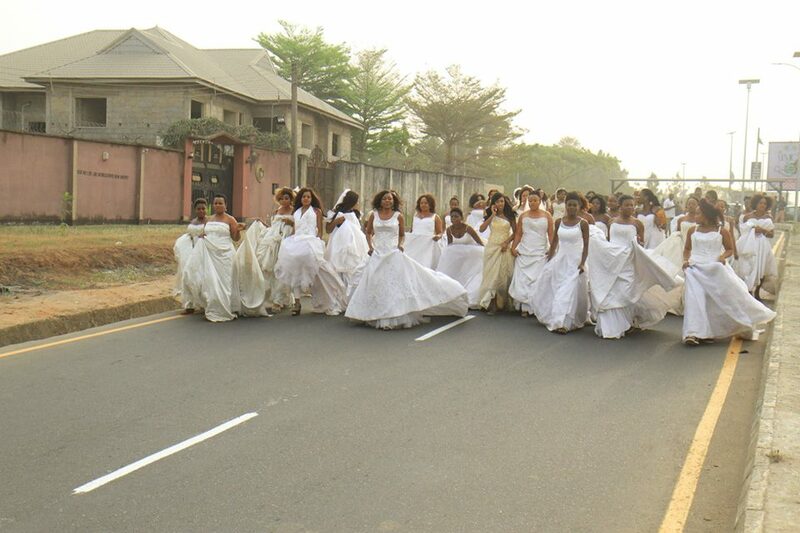 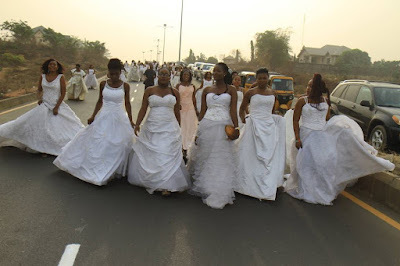 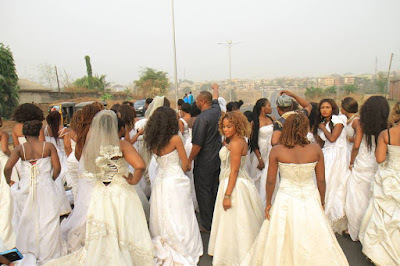 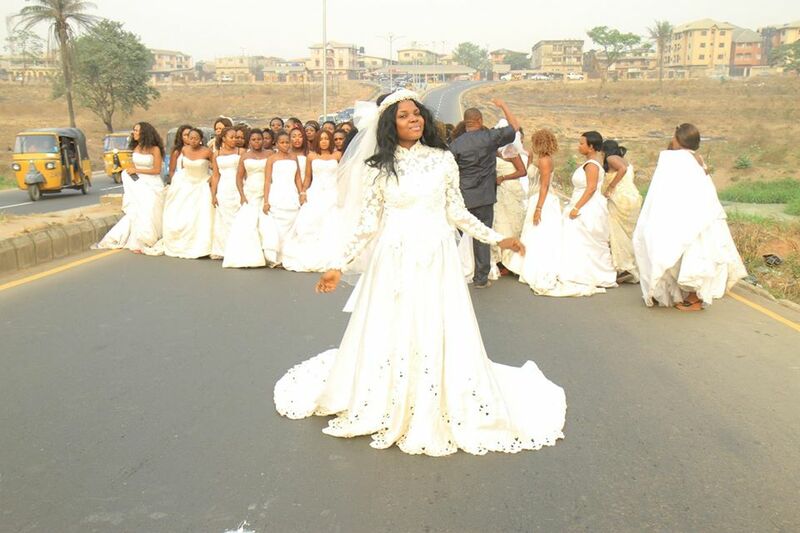 Residents were surprised and confused to see over 40 brides walking on the road in their wedding gowns this afternoon in Owerri, Imo state. 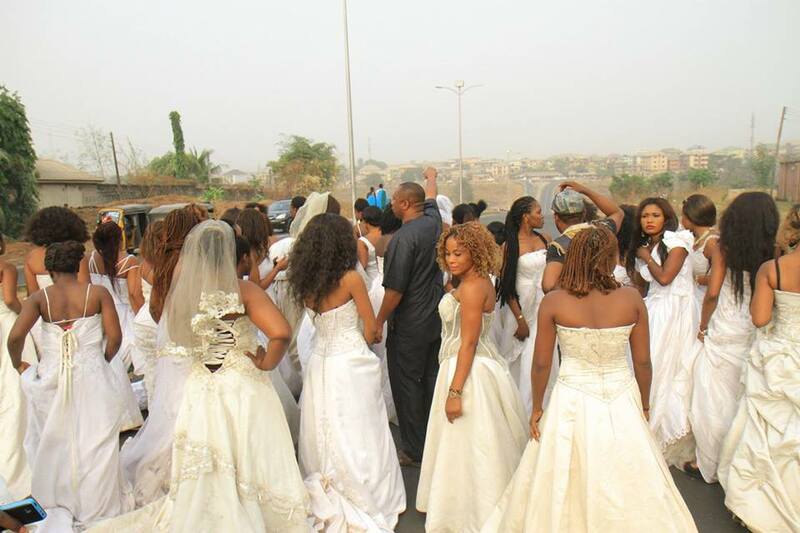 It was later discovered that the ladies were posing for a photo-shoot for an upcoming movie ‘The Choice’. It was further revealed that authorities shut down the First Inland Road for the photo-shoot. 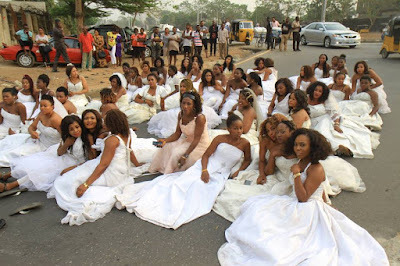 Guys : See how Staring At a Woman B.reasts Can Extend A Man’s Life By 5 Years.